Maspalomas is along with San Fernando, El Tablero, Playa del Ingles, Meloneras and San Agustin part of the municipality of San Bartolomé de Tirajana. 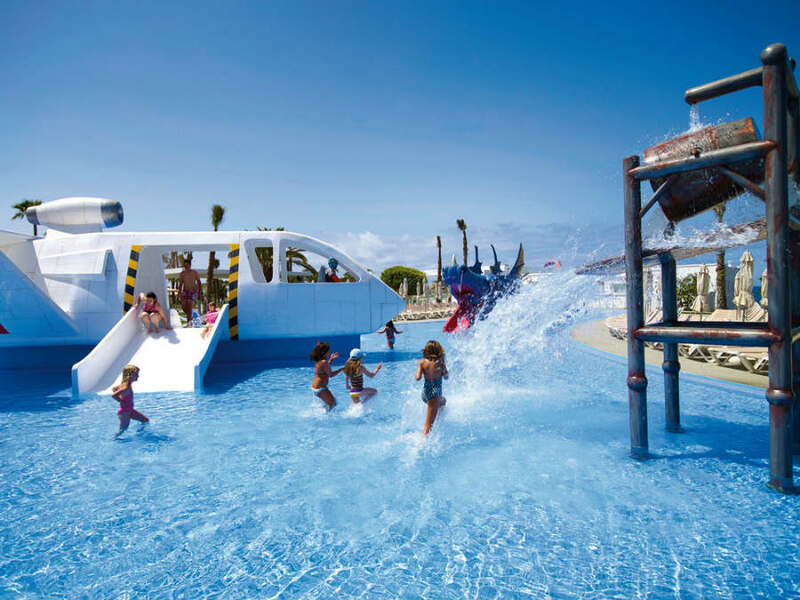 They are together the ideal holiday destination for the whole family and children as holiday travel experts. This webpage is your help, the planner or planner during your holiday in Maspalomas as advice. At that time the area was like a desert and deserted, secluded from the rest of the island. For the construction of the 55 meter high tower a special quay had to be built with a platform for loading and unloading of material, which could only be supplied by sea. The light from the lighthouse was lit for the first time on February 1 1890. It was the only building at the end of a long stretch of sand that began at what is now Playa del Inglés and stopped near Oasis de Maspalomas. The tower was the landmark for the steamers on routes between Europe, Africa and America. In 1996 we made for the first time acquainted with Gran Canaria as a holiday destination. The view was totally different. 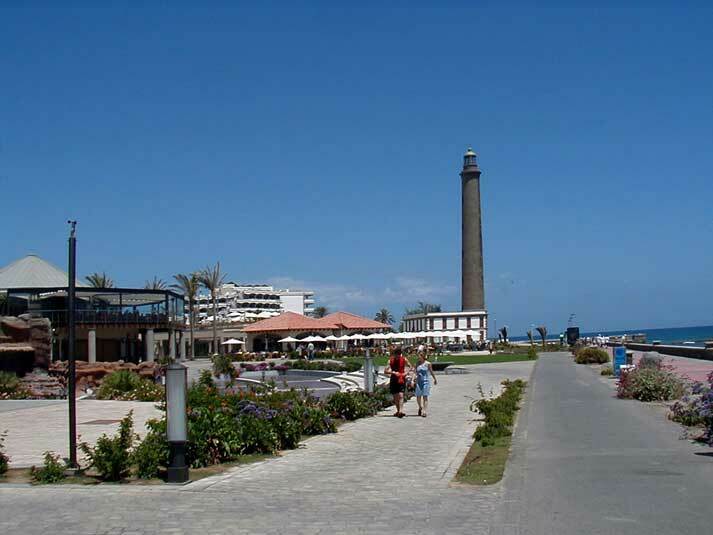 Maspalomas flows from the lighthouse today along with the chic Meloneras. 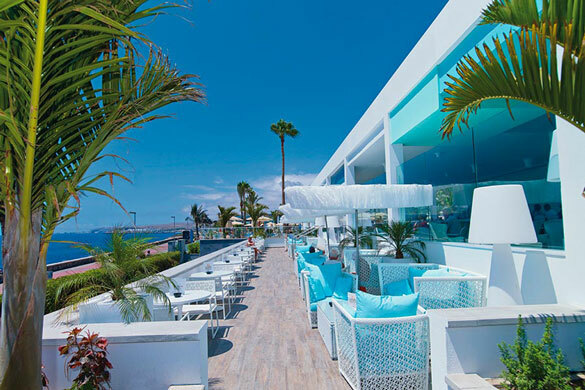 The palm forest of the past has been replaced by immense hotels, shops and Boulevard Faro. What has been preserved and is recognized as a nature reserve in 1987 we can find at the other side of the lighthouse. 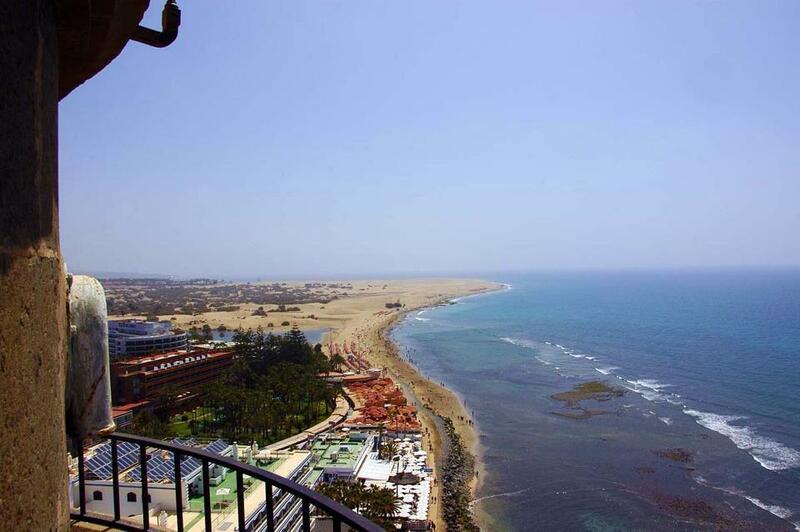 The inhabitants of the island call it “Charca de Maspalomas“. The reserve is 404 acres in size and is very important because of the large fauna and flora. It is an oasis of water, fish, birds, dunes and palm groves.